Television and film producers Rod Roddenberry and Trevor Roth will share some rarely seen treasures from the Roddenberry Vault and discuss this year’s 30th Anniversary of the beloved Star Trek: The Next Generation. Larry “Dr. 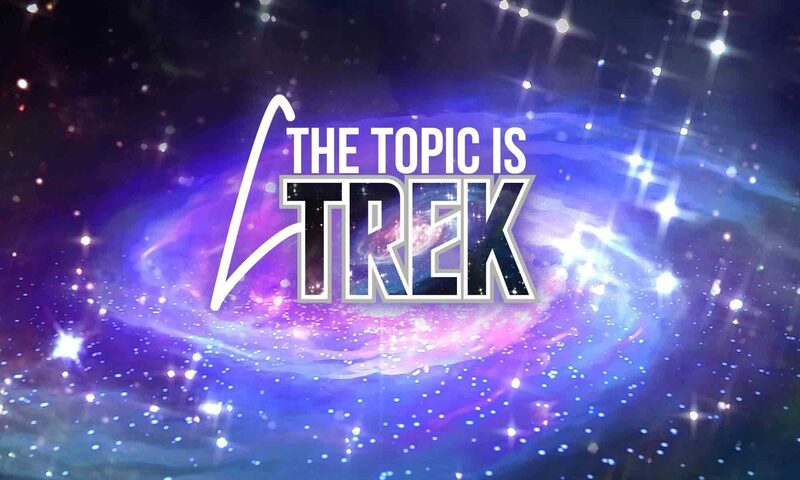 Trek” Nemecek joins nationally known Trek podcasters from SoCal to talk about the recent boon of diversity and the role that podcasts and Internet radio play in keeping fan interest up during the “fallow time” . . . and what they can expect with Trek finally back in series. The authors of the critically acclaimed bestselling two-volume series “The Fifty-Year Mission,” Mark A. Altman and Edward Gross, along with Access Hollywood’ s Scott Mantz, look back at five decades of Star Trek and speculate on where the franchise will boldly go over the next 50 years, including the latest news from the set of Star Trek: Discovery, the future of the movie franchise, and why we need Trek today more than ever. Larry “Dr. Trek” Nemecek aims his annual archive deep-dive at the Big 3-0 for The Next Generation and counts the latest Twitter headlines on Discovery ’til it finally hits the streaming screen. As usual, look for all Trek via bloopers, in-jokes, and touchstone visuals–and, if lucky, an extended sneak peek at The Con of Wrath documentarynow in postproduction. Klingons, weapons, an invasion into Klingon Space, and a live-action bat’leth sword battle–come join the fun and mayhem for the 24th annual Klingon stage play. Come in your best Trek attire–all alien races welcome. This fall, Star Trek: Discovery follows the voyages of Starfleet on their missions to discover new worlds and new life forms while learning that to truly understand all things alien, you must first understand yourself. Join members of the cast alongside the creative minds behind the new series for a conversation and introduction to Star Trek: Discovery. Recently, “Star Trek: Discovery” showrunners Gretchen J. Berg and Aaron Harberts told Entertainment Weekly that main characters on “Discovery” aren’t safe from the slaughterhouse. They said their approach was influenced by “Game of Thrones,” where even the most beloved, characters could die horribly at any moment. “They almost made it difficult to fall in love with people because you didn’t know if they were going to be taken away from you,” Berg said. I give a movie or episode, and each of us quickly says how it would change if it took place in the Mirror Universe.